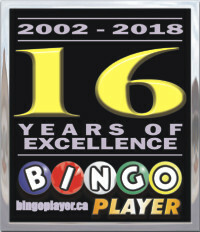 Welcome to our Ontario C-Gaming & E-Bingo Gaming Centres listing page. The “C” stands for charitable, the “E” for electronic. Click any Gaming Centre name below to find current schedule and promotion information. Enjoy your visit online — then, GO PLAY BINGO! C-Gaming & E-Bingo are part of the (OLG) Ontario Lottery & Gaming’s “Charitable Bingo And Gaming Revitalization” initiative. In addition to traditional paper Bingo cards and books, Players may also use an electronic computer touchscreen to play. You can also enjoy PLAY ON DEMAND games. Play On Demand (POD) Games are electronic games you can play independently, in between sessions, at intermission, or even during live Bingo games. They’re a fun and easy way to play your games, your way, anytime. These Gaming Centres may also offer other electronic games, such as TapTix™ machines — an electronic way of bringing break-open tickets to life. To learn more about this initiative and the technology, check out this YouTube video. To learn more about TapTix, watch the video below. If you would like to see information about any other C-Gaming Centre on our Bingo Player website or in the printed magazine, please advise the Gaming Centre’s Owner/Operator or Head Manager — and let us know, too!